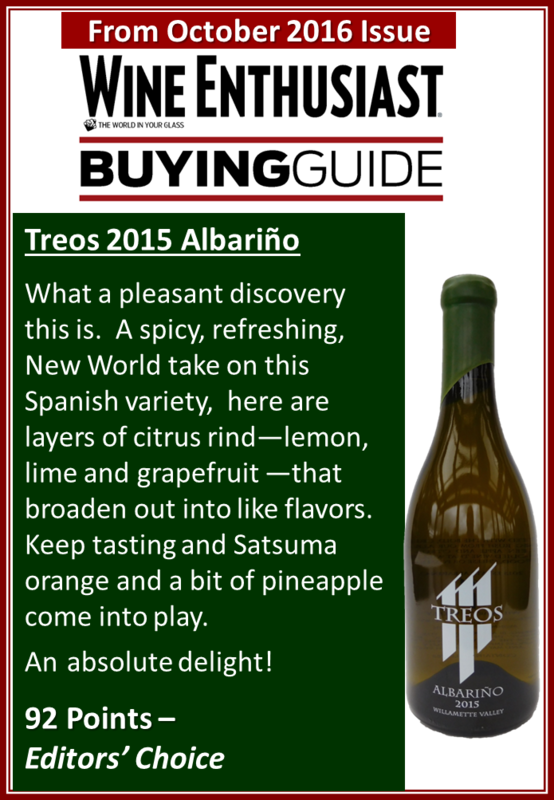 TREOS 2015 Albarino nets a 92 from Wine Enthusiast!! 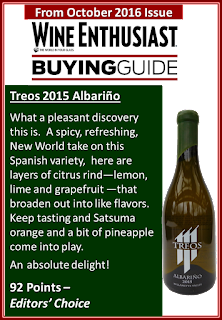 We're excited to announce TREOS' 2015 Albarino has been awarded a 92 by Wine Enthusiast in it's October 2016 issue. This is the third highest award WE has given to an Albarino world-wide! You can find this tasty wine at many of the locations that sell our wine. Just go to our website page to see what might be close to you. If you can't find it, call or email us and we'll help you find something near you. Don't forget...we always have some at the winery :)! !